What watches do celebrities wear? Most celebrities always want to be in trend, and it also concerns accessories, such as watches. Let’s find out what do celebrities prefer to wear on their wrists. Of course among celebrities’ accessories there is not one pair of watches, it is evident that they want to express themselves, to underline their individuality and style. 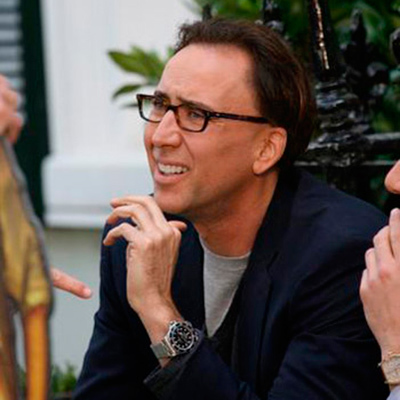 Most celebrities prefer watch brand «Rolex». This is not surprising, because this name has been a symbol of status and success for a long time. Among those who prefer to wear «Rolex» we can define such stars as the leader of the group «U2» Bono, film director and producer Nicolas Cage, the legendary musician Eric Clapton, actor Tom Hanks, Ashton Kutcher, Brad Pitt. Women’s watches of this brand are recognized by beauty and style icons Charlize Theron, Brooke Shields, Victoria Beckham. However, there are those who prefer other well-known brands. 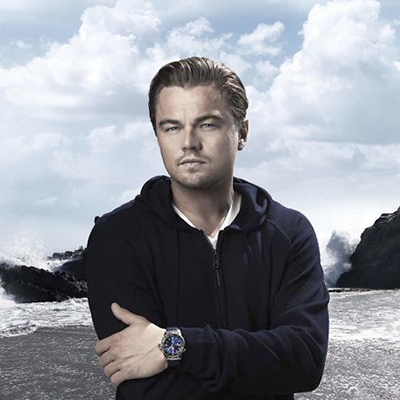 For example, Leo Di Caprio not only in life but on the screen also is faithful to «TAG Heuer» watches. 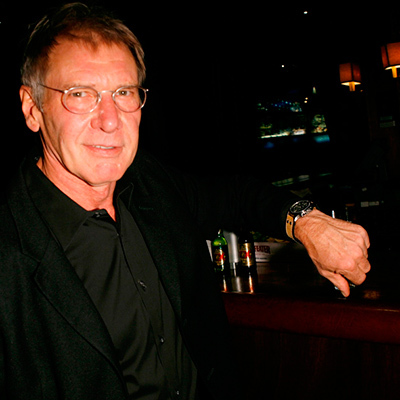 Famous film star HarrisonFord always wears a wristwatch of the American brand «Hamilton». Not less known Angelina Jolie prefers elegant lady’s watch «Cartier». Combining all the qualities of the ideal woman, Angelina has impeccable taste. Her accessories are playing the leading role – remaining in the background, they create exactly the background, which their owner is willing to achieve – restraint, nobility and aristocracy. In her arsenal there ––are exquisite Tank Louis Cartier on a black strap and Chanel Horlogerie collection Premiere, Tissot T-Touch Expert and special product – a gift of her husband after their marriage Patek Philippe Ladies Minute Repeater Ref 7000 that Angie puts on in exceptional cases. Delicate and refined beauty Jennifer Aniston prefers to see on her wrist watches created exclusively for men – their massive and deliberate severity perfectly set off the fragility of Jennifer. Among the watches she has several models of Rolex – Dayjust, Milgauss, but the most loved ones can be considered the gold Rolex Daytona Gold, Jenny successfully combines many looks – jeans, trousers and dresses. The fragile and delicate as Rihanna prefers massive watches, like Jennifer Aniston. The most popular are PIAGET Polo Ladies Gold from the collection of Possession – solid gold bracelet with a large round case and dial clearly stand out on a small wrist. The singer likes to wear a Rolex Day-Date – on execution of design they are similar to PIAGET, but still they have exclusive glamour and splendor. As we can see, the world’s most influential people prefer Swiss manufacturers. This is not surprising: Swiss watches are the result of a combination of tradition, experience and modern technologies. Their quality is tested by time. For more than 500 years of watch making masters improve their skills. Time does not stand still. And successful people understand this very well. Therefore, they choose the best and most reliable. That watch that is tested by the time. Perhaps this is the secret of success?